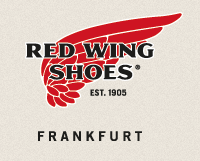 Today the new Red Wing Black Lineman #2995 is launched and now available @ Red Wing Frankfurt – online and in-store. 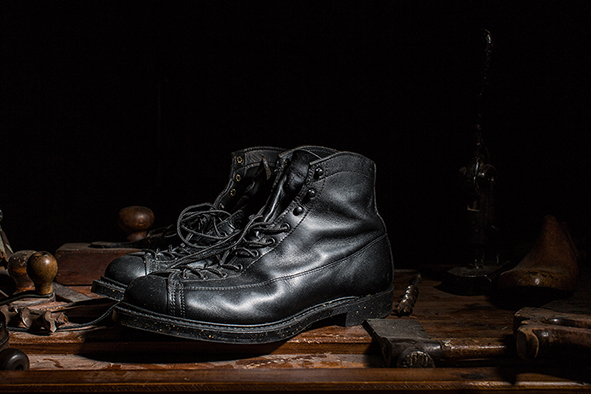 Lineman boots are the style of work boots for electric line workers. 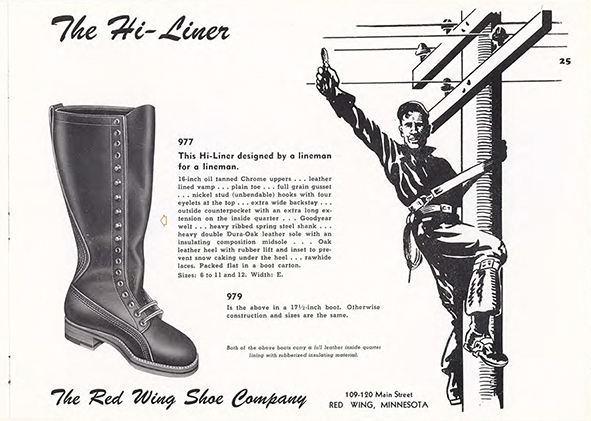 As compared to other Red Wing boots, Lineman boots consist of eyelet rows that pass through shoe laces extending till the toe. This allows adjustment for the boots to hold the feet tighter which is believed to improve the safety of lineman working at high places. 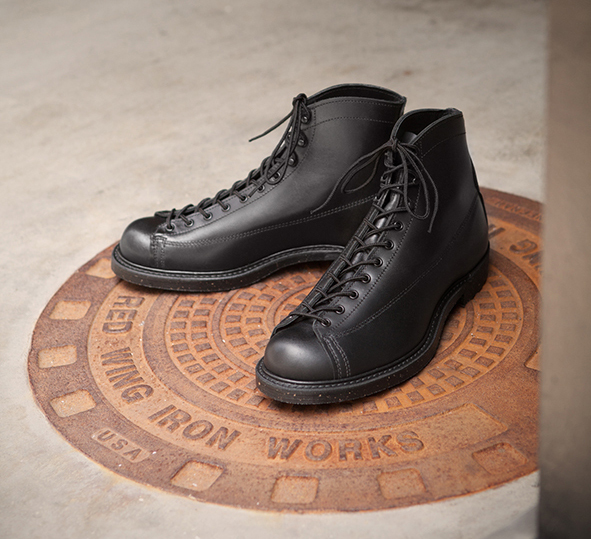 This boot style of Black "Retan" leather is a revival of Red Wing classical work boots' standard style, combining nitrile cork sole and Goodyear welt construction, original only to Red Wing. In the early 20th century, lineman was known as one of the most dangerous jobs. It was said that one out of three linemen was killed by accident on duty. Linemen thus needed high degree of safety from their equipment. The style of footwear that they preferred was lace-to-toe. The design makes shoe lace goes from toe part, ensuring tight holding of feet. 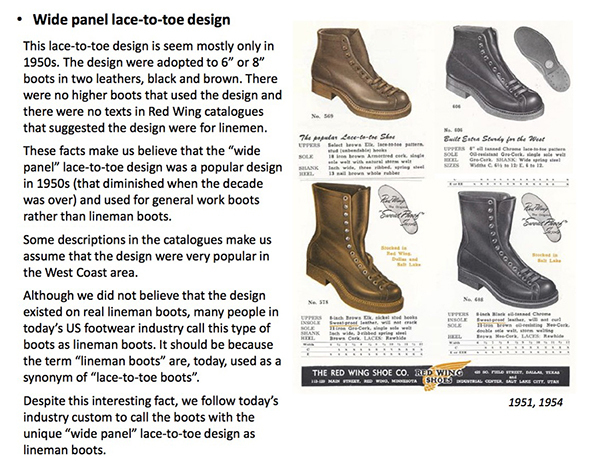 Early boots that had this lace-to-toe system appeared in Red Wing's catalogue in early 1940's. 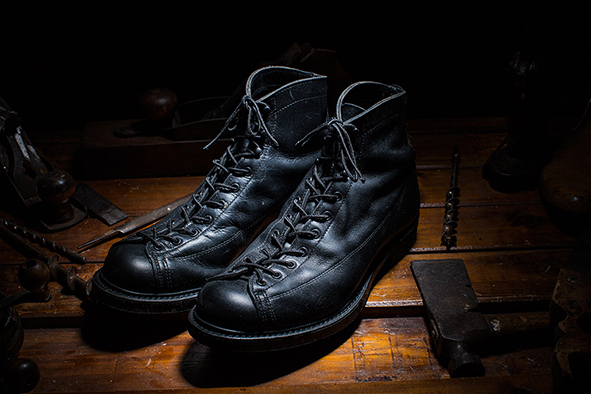 Red Wing Lineman Boots inherit the lace-to-toe design from the boots.